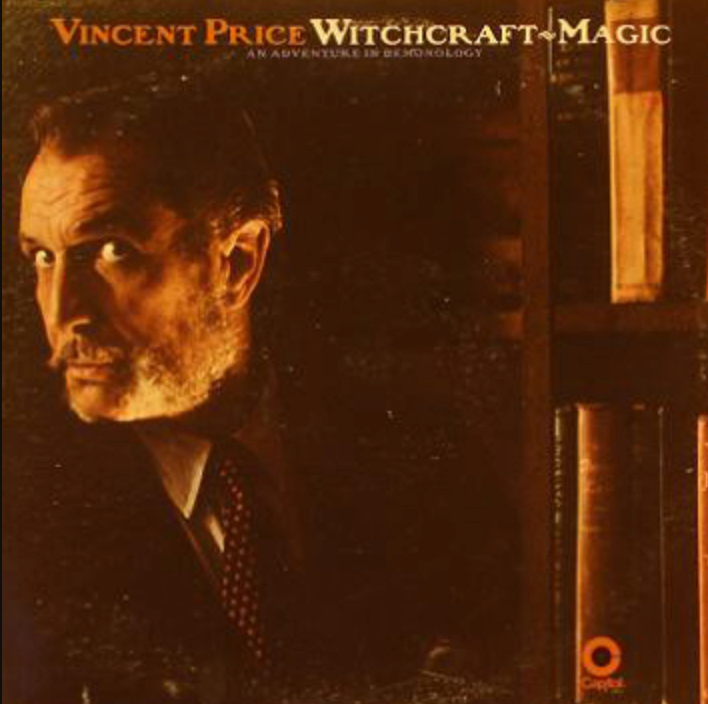 In 1969, Capitol Records released this incredible double LP set (and double 8-track tape) from Vincent Price titled "Witchcraft-Magic: An Adventure in Demonology." Hear the whole thing above. The nearly two hours of spoken word includes sections on the history and culture of "witchcraft" and helpful guides such as "How To Invoke Spirits, Demons, Unseen Forces" and "How To Make A Pact With The Devil." I certainly wouldn't vouch for the factual accuracy or research rigor of the material, but hearing horror icon Price's silky narration about such topics as necromancy and the "Witches Sabbat" is a joy.